Do not use summer-only tires in winter conditions, as it would adversely affect vehicle safety, performance and durability. Use only GM®-approved tire and wheel combinations. Unapproved combinations may change the vehicle's performance characteristics. For important tire and wheel information, go to my.chevrolet.com/learnAbout/chevrolettires/ or see your dealer. 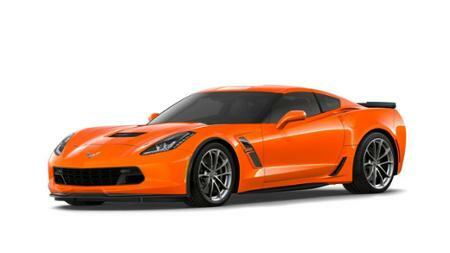 **The features and options listed are for a New 2019 Chevrolet Corvette Grand Sport Coupe 2LT and may not apply to this specific vehicle.